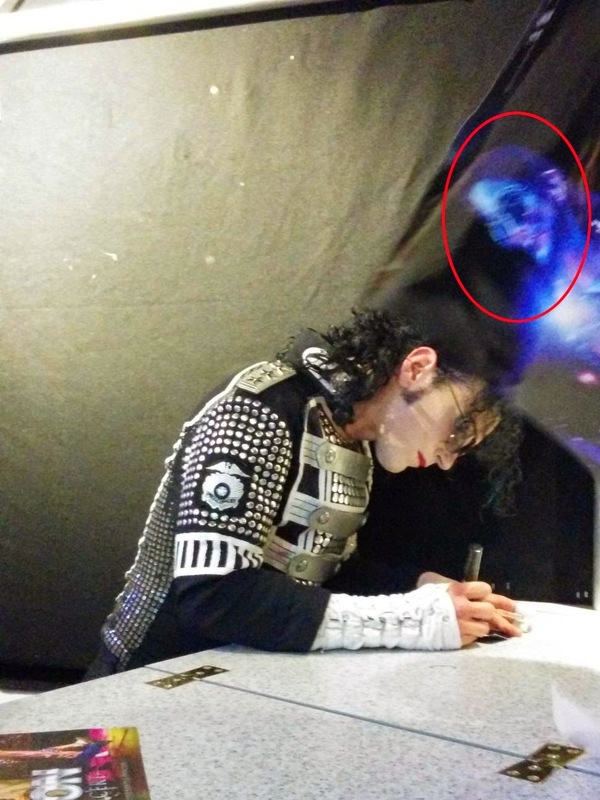 Paranormal Pop Culture: The Ghost of Michael Jackson Makes an Appearance in England? The Ghost of Michael Jackson Makes an Appearance in England? The ghost of Michael Jackson likes to hang around his impersonators. Maybe? The NY Daily News reported that 14-year-old British teen, Reece Savva, was "excitedly waiting in line for the fake entertainer's autograph at the Churchill Theater in Bromley, Kent, when he took a series of pictures." What Savva found when reviewing the pics took him by surprise. The late King of Pop was floating over the shoulder of the impersonator. At least that's what they think. Savva relays his take on this spooky image, "It was so eerie. There was nothing there at all when I was waiting in line." He added, "I have no idea what happened on that one picture, but it's terrifying. It was like something out of Thriller." His mama was pretty shocked about this pic too, "The image is so clear. Sometimes you can see these things in photos, it is an image of something but you are almost willing it to be something else. But you look at that and it is clearly a face and it does look like Michael Jackson." So, yeah, Thriller? Zombie Jacko? 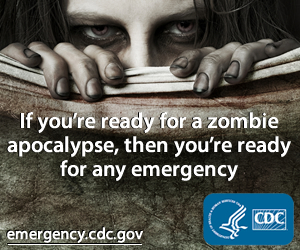 Take a look at the pic and let us know what you think. 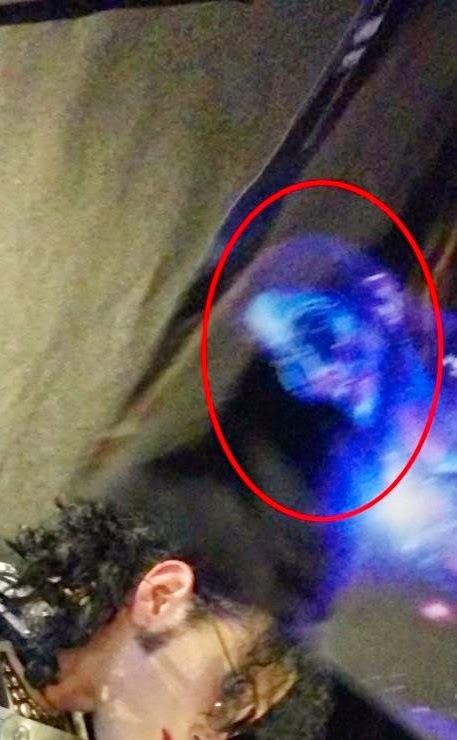 I'm not convinced it's Michael but the ghost of a creepy clown is something I'm not ruling out...or Fake Mike's reflection.